Alpha Jack Clamps allow you to clamp in a variety of positions. The basic premise of the Alpha Jack Clamp is similar to an ordinary quick-grip clamp: you tighten the clamp using a ratcheting pistol-grip style handle. But the tightening action is where the similarities end. Alpha Jack Clamps, manufactured by Lowell Thomas Tools Inc., can act as both a jack and a clamp. Lowell Thomas of Bozeman, Minn., designed the tool when he needed to jack up a part of the sailboat he was working on. He tried to flip an ordinary quick-grip clamp around so he could use the pads to push outward, but it wouldn’t work. So, Lowell designed his own. After a few tweaks, the Alpha Jack Clamps were created. Most quick-grip clamps and ordinary bar clamps have a relatively shallow throat depth- usually no more than 3″. The Alpha Jack Clamps have a 13″ throat depth. 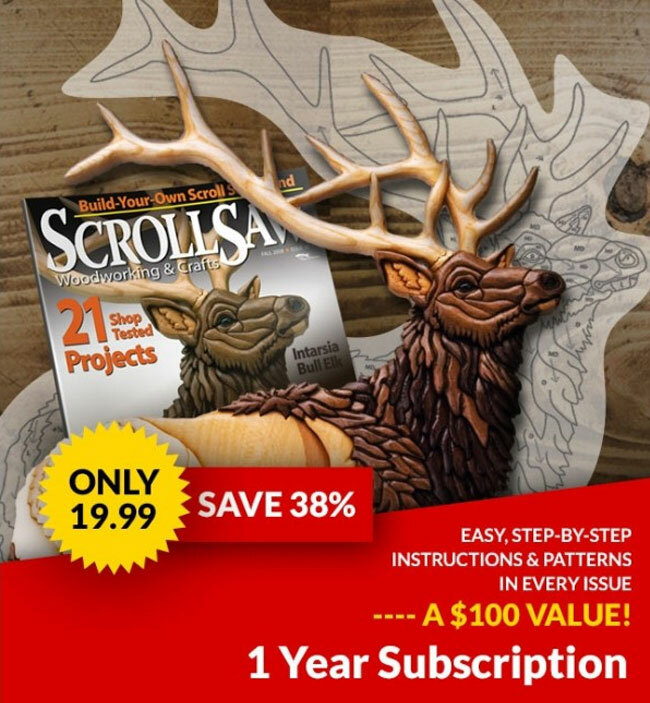 This allows you to clamp around stock when working on delicate and intricate projects. The clamps are built to last. Each clamp weighs about three pounds, so they will not be the first clamp you reach for when gluing up delicate fretwork. But the throat depth lets you use this clamp when no other clamp will work. It also allows you to put the clamp together around already-glued components and quickly disassemble the clamp when the glue is dry. 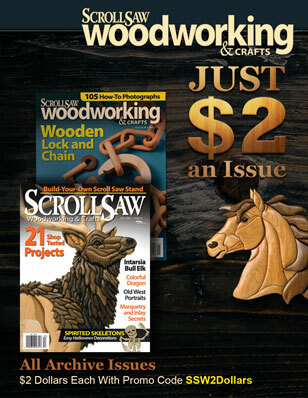 While the jack action is not specifically useful when it comes to scroll saw work, the clamp can be used to jack a project up or push two objects apart. It also includes a horizontal and vertical level on the fixed end, and the bottom bar includes a ruler calibrated in inches and millimeters. 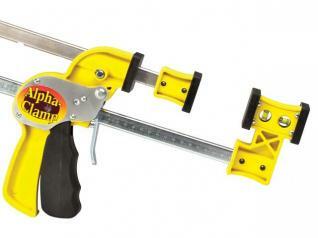 Alpha Jack Clamps are available for $39.99 each plus shipping and handling. If you purchase two clamps, the shipping and handling is free. For more information, visit www.jackclamp.com.